Last month when I talked about the book I had most recently read, The Villa Dante, I said I’d write a monthly blog about a book that’s been lost or forgotten or maybe barely ever known. Having made it a Policy (because I’m so good with Policies), I wanted to think of a clever name for the Monthly Lost Book Post, so I could categorize the entries and they’d be easy to find. Well, not this month. I drew a blank this month. Maybe next month I’ll be able to think of a clever name. What do you think? The Irresistibles? The Irrepressibles? Something. 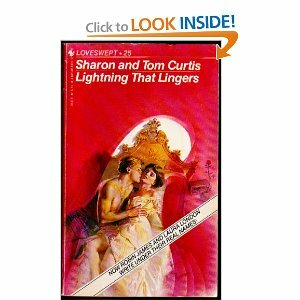 This month: Lightning that Lingers by Sharon and Tom Curtis, aka Laura London and Robin James. Sharon and Tom Curtis are hardly unknown—they sold a ton of books in the 1980s—but they haven’t written a new book in more than two decades as far as I can tell. They wrote romance novels, which they got into because they thought it would be fun. They hadn’t taken a class, and they didn’t have a clue. They just sat down one night after Tom got home from his truck driving job and Sharon got home from her book store job and started. Their best-known book, The Windflower, still sells (new) in hardback on Amazon for $423.78 and has 4.5 stars with 68 reviews. Not too shabby for a book that came out in 1984. I didn’t get that book, because of not wanting to shell out $423 and change, so I went for Lightning that Lingers, which was a pittance by comparison, and the only book of theirs that’s available on the Kindle. 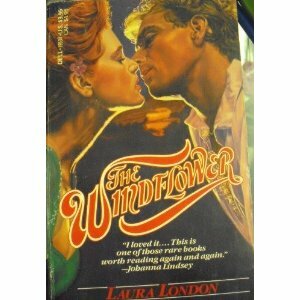 Lightning that Lingers was originally a category romance that Loveswept, a Bantam imprint, published. It’s the story of a devilishly handsome wildlife biologist who sleeps with baby owls to keep them warm and harbors a disabled chicken in the kitchen. (I’m sure Sharon and Tom wrote that on purpose, just so we could say “chicken in the kitchen” out loud.) Our heroine is a shy librarian (okay, 1984, people). And that’s why so many people like Sharon and Tom Curtis’s work, I think. Because it’s well-written and heartfelt and unexpected. And sometimes, laugh-out-loud funny. You could do a lot worse than read Lightning that Lingers. Other books by the Curtises are still available used for a lot less than the $423 new hardback price I quoted.